Somewhere between the frustration over a hacked email account and the annoyance over wet muddy days, spending a little time in the kitchen provides comfort to me. And having a final product in front of me in 15 minutes elevates my mood to a much better place. Cang Ying Tou, or flies heads in english got its name from the fermented black beans (Dousi) that's being used in the recipe. 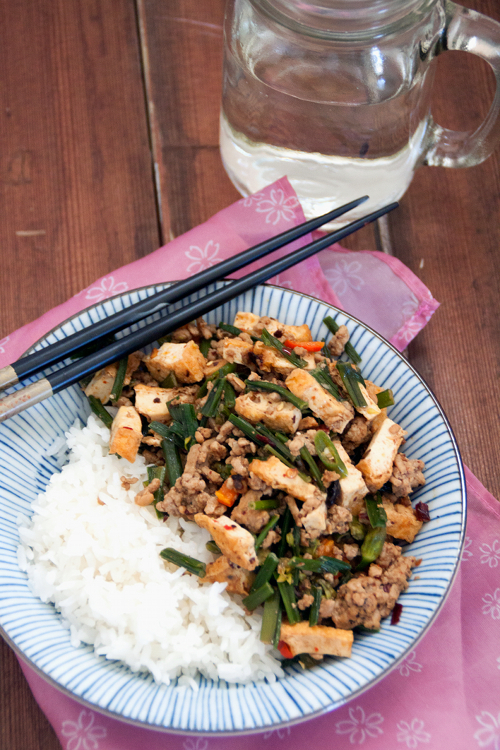 It's spicy, savory, slightly pungent, not mentioning delicious and easy to make. It's a perfect dish for us who want to veer away from the mainstream Chinese food. 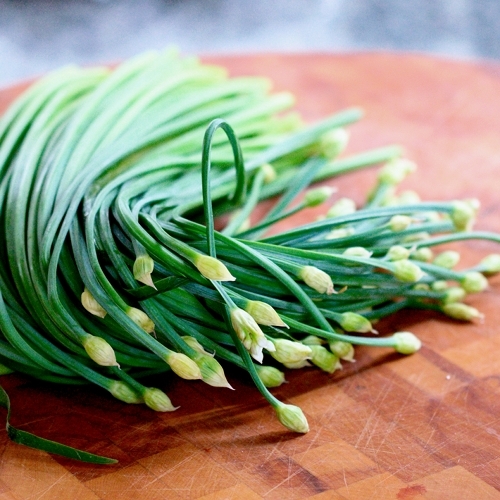 If garlic chives are hard to find in your area, feel free to substitute with any green vegetables of your liking. Serve hot with steamed rice. Heat both oil in skillet/wok over high heat. Add garlic, black beans, and chili pepper, cook for a few seconds. Add pork, chives, and tofu (optional), cook until the pork and vegetables are cooked through, stirring often. Season with oyster and soy sauce. Mix to blend. 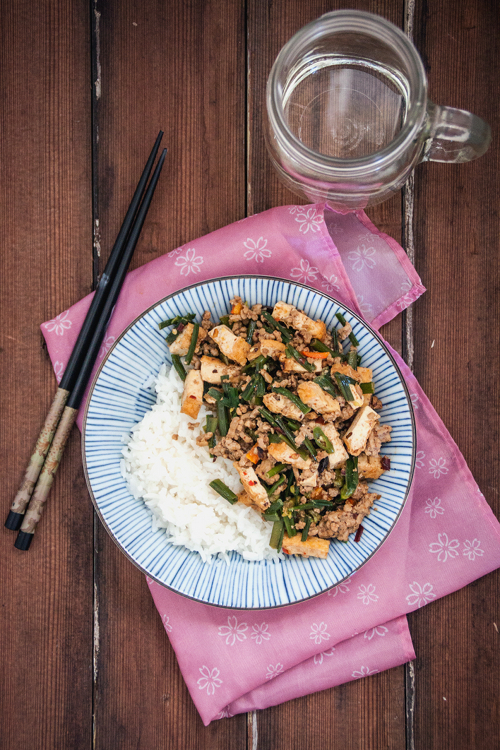 Serve immediately with steamed rice. especially with pickled garlic and chillies!! !